What is a Quick Straight Teeth System? 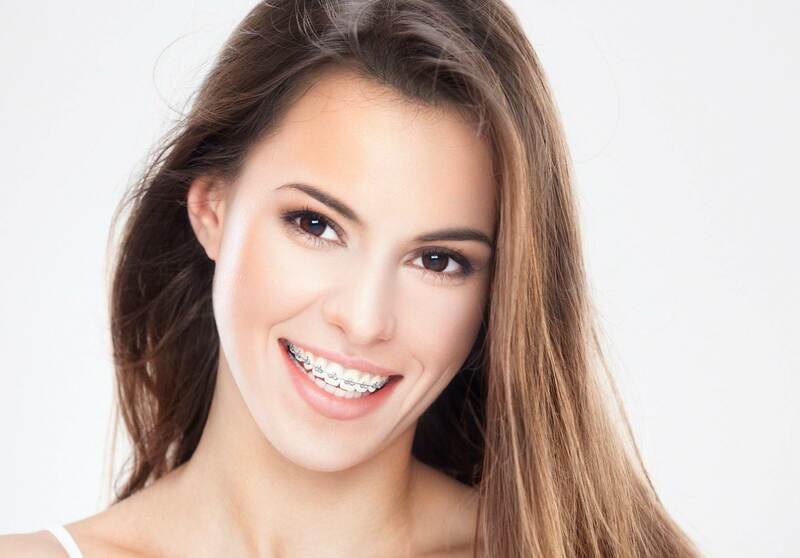 Quick Straight Teeth brackets and wires are all tooth coloured, and designed to blend in and appear nearly invisible in the mouth, giving you the ability to get straight teeth quickly, but without ugly, bulky braces. Most people will be unable to tell you are wearing Quick Straight Teeth™ invisible braces at all. Getting a beautiful straight smile is fast! Treatments for teeth straightening take between 4 and 24 weeks depending on complexity. Quick Straight Teeth™ clear braces concentrate on only the front teeth and therefore take less time than conventional full orthodontics. Our adult braces have been designed to ensure optimum wear ability and comfort for patients. Your clear braces will not only look discreet, but feel extremely comfortable. With most of our products coming from 3M, you can rest assured that we are the gold standard in orthodontics. Due to low laboratory fees and quick treatment times, Quick Straight Teeth™ invisible braces are one of the most cost-effective adult brace systems. This means you can get affordable clear braces with no compromise on quality for straightening teeth. The cost of clear braces made affordable! Prices of braces differ depending on few factors like system used, whenever upper and lower or just one arch is treated . To make it esy to understand how braces prices are working we created a package price. Many dental practices offer complex price system with multiple items listed in your estimate which can be very confusing and you may not be aware that some extra charges may apply on the top of main price like extra price for retainer after treatment is completed. There might be also extra charges for review or emergency appointments which are not included in main price. That’s why we design for our clients simple Package ” all in” approach to the braces treatment. That means that everything what you need from start to the finish is included in the package. No hidden or additional charges applies. How do I know what my package price is? It’s simple. We offer Complimentary consultations where you can discuss your expectations and what you do not like about your teeth. After that we will be able to offer you treatment options and give you your package price. So If we say to you your braces cost is £2500 that means all from start to finish is covered by this quotation. And the best part is ……. you do not need to pay it all at once! We only ask for 10% deposit on braces fit appointment and rest can be paid in affordable stages either over a treatment time or is small monthly instalments up to 60 months. Sounds good ! So book your FREE consultation right here right now ! And start your journey to better, straighter smile now ! Teeth straightening by using invisible braces is currently one of the most common treatments. ClearGuide® ‘invisible braces’ make it possible to correct teeth with gaps, misaligned or overcrowded. ClearGuide® braces are almost invisible, which means your teeth can be corrected without the need for unsightly metal braces. The Choice is Clear ! It can treat crowded teeth and close large gaps. 3D preview pictures will show you how your teeth will look after treatment. With its advanced technology no attachments on teeth are needed for tooth movement. This NEW amazing Treatment available in our Clinic! A: When you think of braces, what do you picture in your mind? A teenager? Good news ! The truth is there is no upper age limit on who can wear braces. That is why they are becoming more and more popular regardless the age ! A: The Six Month Smiles Clear Braces for Adults technique employs the latest technology and techniques in dentistry to move your teeth quickly and safely with clear adult braces. The key components of the treatment are the use of unique, clear braces and a primary focus of moving and straightening the teeth that show when you smile. A: There is no catch. If you are an adult (18 years and older) with crooked or spaced teeth and you’re not looking for a major alteration to your bite, this could be the solution for you! Most adults ARE candidates for Six Month Smiles. How much are Six Months Smiles braces? They did it ! Now it’s your turn ! BOOK your Free consultation here ! Yes. Fastbraces are right for the majority of adults and children. There are only a few skeletal cases not suitable for treatment. During our complimentary consultation we will be able to advise you about your treatment options. We have hepled a lot of clients from Inverness & Aviemore area to smile with confidence again. Price will vary depending on system used. We always confirm total price on your initial consultation. It is package price so there is nor hidden charges. We offer wide range of payment plans. You can choose Pay as you Go option and spread payments over treatment time – usually few months or if you prefer something longer we would be happy to offer affordable Finance option from 12-60 months. You will find more details about braces cost here. If you are not too sure what to do and if your teeth can be straightened just simply give us a call on 01479 812 846 on book online your Free consultation with Dr Agnieszka Milbauer. Will I need a retainer ? When the braces come off you will need to wear the retainer but just for 15 minutes a day, cleverly described as Fastbraces® “Tooth Shampoo” as it’s thought you could pop the retainer in while having a shower and then remove and forget about it for the rest of the day. Other systems require retainers to be worn for much more of the day.